3rd Ad Bn consolidated and redesignated. 4th Ad Bn consolidated and redesignated. Renumbered as 6th Surrey RVs. 19th Surrey RVs consolidated and redesignated. Renumbered as 8th Surrey RVs. 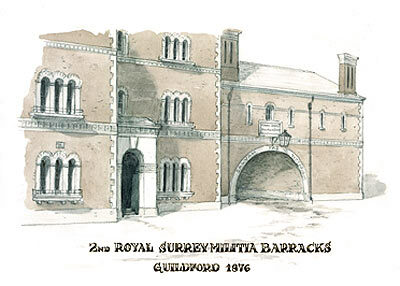 2nd Royal Surrey Militia Barracks, Guildford 1876.